Based in St. Louis, Anheuser-Busch is the leading American brewer, holding a 47.6 percent share of U.S. beer sales to retailers. The company brews the world’s largest-selling beers, Budweiser and Bud Light, and distributes these and many other popular brands through a strong network of more than 600 independent wholesalers. 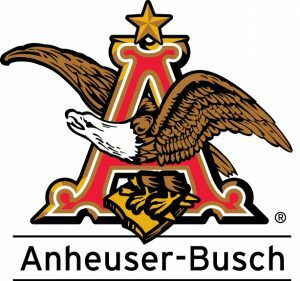 Anheuser-Busch operates 12 breweries across the United States, is a major manufacturer of aluminum cans and has been a leading aluminum recycler for more than 30 years. Tröegs is an American brewery located on Hersheypark Drive in Hershey, Pennsylvania. John and Chris Trogner founded the company in 1996. Tröegs is a craft-brewery, or microbrewery focusing their production on specialty and seasonal beers. 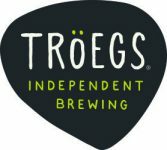 Tröegs also is a limited distribution brewery, only distributing beer to states within proximity to maintain beer freshness. Tröegs currently has sixteen beers in regular production. These are split between year-round and seasonal offerings. Seasonal beers are further split between “once a year” and “hop cycle,” the latter being an annual rotation of hoppy beers. Tröegs also produces “Scratch” beers, an experimental series focusing on new techniques and non-traditional ingredients. These are available on a limited basis (often for only a few days or weeks) and have included weizenbocks, lagers, and barleywines, as well as barrel-aged beers. As of August 2016, over 250 beers have been offered as part of the Scratch Beer series. Several later entered regular production. Our journey began with a 15-gallon soup kettle, a quest for better beer and countless batches of homebrew. The passion and personality that began Bell’s continues today through our breweries and Eccentric Café. We continue to grow and evolve, dedicated to our mission; to be fiercely independent, 100% family owned, deeply rooted to our community, committed to the environment and brewers of inspired beer. 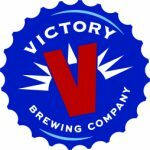 Victory Brewing Company opened its doors to the public on Feb. 15, 1996. What was once a Pepperidge Farm factory became home to a 144-seat restaurant, 70-foot-long bar and a full-scale brewery. In its first year, Victory Brewing Company brewed 1,725 barrels of beer. Since then, Victory has increased the size of the restaurant to 300 seats. The brewery has also expanded, producing 93,196 barrels of beer in 2012. As loyal craft beer drinkers continue to show their dedication to flavorful, quality beer, Victory plans to continue its own growth. Onward to Victory! 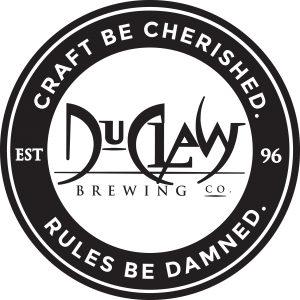 Dave Benfield and DuClaw Brewing Company Brewmaster Jim Wagner are the masterminds behind our amazing array of craft brewed beers. Through constant innovation and testing of new recipes, combinations and ingredients, the pair have brewed more than 35 unique beers and countless variations and blends. Some are available on tap and in bottles year round, while the others rotate in and out of our lineup depending upon available ingredients, seasonal appropriateness of the style, and what we’re in the mood to drink that week. By 1995, Chicago’s Goose Island Brewpub had become so popular that John Hall decided to open a larger brewery and bottling plant to keep up with demand. Finding still more room for growth, in 1999 Hall opened a second Goose Island Brewpub just a stone’s throw away from historic Wrigley Field. 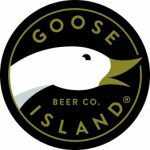 Today, Goose Island continues to brew an innovative selection of over 50 craft beers at the brewpub, the best of which are then bottled at our Fulton Street brewery. Goose Island beers are now enjoyed in all 50 states and Europe. Kona is a Hawaii-born and Hawaii-based craft brewery that prides itself on brewing the freshest beer of exceptional quality, closest to market. This helps to minimize its carbon footprint by reducing shipping of raw materials, finished beer and wasteful packaging materials. The brewery is headquartered where it began, in Kailua-Kona on Hawaii’s Big Island. It has grown into Hawaii’s largest brewery and is the 13th largest craft brewery in the country. 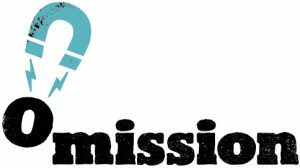 Omission is the first craft beer brand in the United States focused exclusively on brewing great-tasting craft beers with traditional ingredients that are specially crafted to remove gluten. Gluten levels in every batch of Omission beer are measured by the brewery and two independent labs to ensure that the beer meets the brewery’s standards. Test results for every batch of Omission beer are available to consumers at omissiontests.com. Rogue Brewery’s mission is to brew the finest varietal ales & spirits in the world with an uncompromising devotion to Quality and the Art of Brewing and to present the finished work with a touch of educational, entertaining mischief. They are dedicated to the “Rogue” in each of us, remember it is not simply a matter of profit but a highly personal work of art, and to build relationships, not just ales. And lastly, to be like great friends and remember it’s what’s inside that counts! 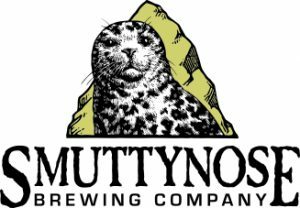 Welcome to the Granite State’s leading craft brewer,located in the historic seaport city of Portsmouth, New Hampshire Smuttynose was founded in 1994 by the folks who started the North Hampton and Portsmouth Breweries. Their beers are distributed from Maine to Florida and as far west as Wisconsin. Founded in 1986, the Abita Brewing Company brews over 151,000 barrels of beer and 9,100 barrels of root beer in our state-of-the-art brewing facility. Our lagers and ales are brewed in small batches, hand-crafted by a team of dedicated workers with only the highest ideals of quality. This pride, along with our brewing process, is what creates our great brews. We are privately owned and operated by local shareholders, many who have been with us since day one. In 1995, the roof of the Rams Head Tavern in Annapolis, Maryland was removed and a brewhouse lowered in, handcrafting fine ales and lagers under the name of Fordham Brewing. It didn’t take long for the new brewery to rekindle the city’s old tradition into a passionate following among locals for its artisanal beers. As Fordham’s reputation spread throughout the Chesapeake region, the brewery made the decision to relocate to Dover, Delaware in 2003, where we had room to expand. In what has become known as the Craft Beer Revolution, the year 1989 stands out as a landmark moment when the Old Dominion Brewing Co. established a brewpub operation in Ashburn, Virginia. 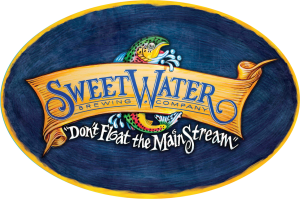 The small brewpub quickly became a production brewery that was named one of the Top 50 breweries in the U.S. They soon found themselves working around the clock to provide their potent potables and gourmet soda up and down the East Coast. The Starr Hill Brewery was established in 1999 in the town of Charlottesville, VA, and takes its name from the neighborhood where it was originally located. 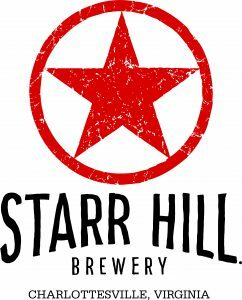 In 2005, the brewery moved to nearby Crozet, VA. Starr Hill’s beers can be found throughout the mid-Atlantic and southeast United States. The brewery has won several awards for its beer, in particular the Dark Starr Stout which is the most decorated stout in the American craft brewing scene. 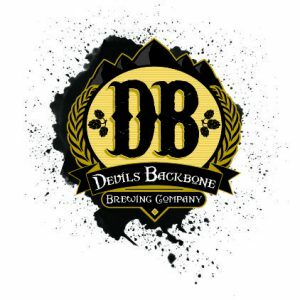 Established in 2008, Devils Backbone Brewing Company is a brewpub located in Roseland, VA,close to the Wintergreen Resort. In 2012, a 15,000 square foot production facility and tap room, referred to as the “Outpost Brewery”, was established near Lexington, VA. The brewery has won several awards at both the Great American Beer Festival and the World Beer Cup. From their first meeting, John Washburn and Brian Shanks formed a friendship that led to a partnership with a BOLD shared vision to make a world-class cider in the Blue Ridge Mountains of Virginia. And that is exactly what they are doing. Local apples are once again being crushed to make hard cider and the rest, as they say, will be history. 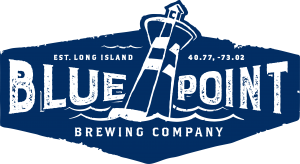 The Blue Point Brewing Company is Long Island’s first currently-operating microbrewery. It founded in 1998 by two long-time friends, Mark Burford and Pete Cotter. The brewery’s unique direct-fire brew kettle, dismantled brick by brick from a brewery in Maryland and rebuilt in Patchogue, imparts a lightly toasted, complex taste to produce a line of ultra premium microbrews. Jailbreak is a Maryland Microbrewery. In addition to serving their beer in hundreds of restaurants, bars, and retailers across the state, Jailbreak also operates a tap room with a capacity of 150 people. They offer 8-12 different styles of beer for purchase by the pint, sample flight and growlers to go. Food trucks are present onsite during normal business hours. 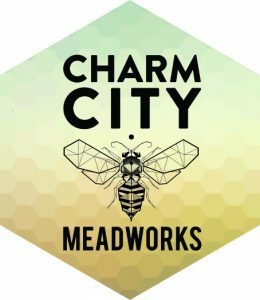 Charm City Meadworks was born out of a love of adventure and learning. Co-owner James Boicourt began keeping bees in college where he took graduate-level entomology classes. When his hives produced way more honey than excepted, he decided to try to use some of the excess honey to make alcohol. The experiment worked and a hobby was born. After college, James’s love for the water led him to a job at the Chesapeake Bay Maritime Museum, where he met fellow brew enthusiast and future co-owner Andrew Geffken. Andrew had been working environmental consultant desk-jobs, but dreamed of starting a brewing business. One day Andrew tried some of James’s mead. Working together, what started as a hobby (something served at an annual Viking party) quickly became a full-fledged business. It turns out that the oldest alcoholic beverage in history is still relevant, and more importantly, delicious. Abandoning engineering and sustainability jobs to work a lot more for a lot less (but have a great time doing it! ), James and Andrew launched Baltimore City’s only meadery in early 2014. Ever since, they’ve been movin’ and brewin’. Charm City and the nectar of the gods are a match made in heaven. 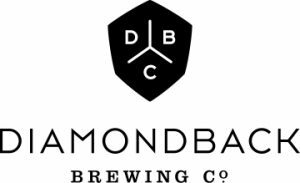 Diamondback Brewing Co. would like to reintroduce itself. In the fall of 2014, when three recent college graduates — Colin Marshall, Francis Smith and Tom Foster — launched their Baltimore beer company, they figured getting a flagship product into the market quickly was most important, so the friends rushed their 3:30 Amber Ale to local bars and storeS. Since then, Diamondback Brewing Co. has grown up in a big way, evidenced by the company’s new 6,800-square-foot brewery and 50-seat taproom in Locust Point that opened the first weekend in November. Throw in new styles of beer, an updated logo and an overall new approach, and it’s easy to see why Diamondback hopes you’ll allow it to make a second impression. In 2008 Full Tilt Brewing owners and cousins Nick Fertig and Dan Baumiller were a world apart but connected by their passion for good beer. It was that year that each independently started looking into home brewing. Nick, while serving in the U.S. Navy and, Dan, working in acquisitions for the Department of Defense began researching the possibilities of entrepreneurship through brewing beer. Nick got out of the Navy in August of 2008 and he and Dan began discussing beer brewing immediately as both a hobby and entrepreneurial dream. They purchased a homebrew kit shortly thereafter and have since transitioned a joyful hobby into a sharable passion. By combining traditional and modern ingredients to develop uniquely crafted beers, Full Tilt Brewing has built a grass roots following in the Baltimore City region. Utilizing this network of family and friends for feedback, Full Tilt Brewing has tested each of its designs in order to provide the highest level of quality and taste. We love beer. Good beer. We love making it, drinking it, and sharing it. We are two old friends, each with decades of experience in the brewing and hospitality industries, who simply wanted to brew beer we’d love to drink. 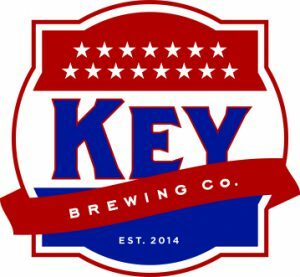 Key Brewing Co.—its name a nod to the national icon from our native Baltimore area, Francis Scott Key—is the only brewery in Dundalk, Maryland. Key joins a burgeoning tradition of skilled brewers in the region and, of course, the incredible movement of skilled craft brewing across America. We are purists of sorts, but not elitists. Key beers are true-to-style: True blue. Traditional. There should be nothing complicated or intimidating about craft beer. To us, craft emphasizes a thoughtful yet straightforward approach and commitment to the highest quality. Key beers are deliciously drinkable. They are supernacular. Since our launch in Summer 2015, we’ve had the privilege of sharing beer we love—beer we make—with our neighbors and enthusiasts all around the region. (Eventually, the nation!) Simply put, we’re brewing, drinking, and living the dream. Wyndridge Farm® is a historic American farm that produces some of the best craft beer and hard cider you will find, and we are passionate about bringing it to everyone. This is craft beverages on a grand production scale. Our facility is a craft lover’s site to see. We also provide educational tours of our facility, so please contact us at 717.244.9900 about a tour or visit. Run by Head Brewer Pete Koelsch and Cider master Scott Topel our brewery is a 4,000 square foot, 30-barrel, 4-vessel, automated brewhouse with a 12,000 barrel a year fermentation capacity. We recently expanded to 4 additional 150-barrel tanks and another 1,000 square feet of space, which will double our capacity to approximately 28,000 barrels. Our portfolio includes six-flagship beer & cider packaged products, two farm-crafted sodas and numerous seasonal draft only beers and ciders. Blessed with fresh country air, pure water and arguably the richest, non-irrigated farmland in the world, Lancaster is still a place where a hand-shake means something, and where genuine craftsmanship artisan quality and stubborn self-reliance remain part of everyday life. At Lancaster Brewing, we unite our obsessive commitment to quality ingredients with equal measures of creativity, skill and experience, to brew consistently great beer. Inspired by long and rich brewing traditions, we are proud to brew in the heart of Lancaster County, alongside scores of old-world craftsmen, independent farmers, working the more than 5,300 local farms, and our fiercely independent Amish neighbors. Three-time Large Brewpub of the Year at the Great American Beer Festival, Elysian Brewing Company operates four neighborhood restaurants and a production brewery in Seattle, Washington. Known both for classic styles and for flexibility and innovation, Elysian has brewed over 350 different recipes since opening in 1996. While Elysian’s brewers use a variety of unusual ingredients, they are seasonally notorious for their pumpkin beers. Each year Elysian hosts the Great Pumpkin Beer Festival, where dozens of different pumpkin beers are poured, some of them from giant pumpkins. 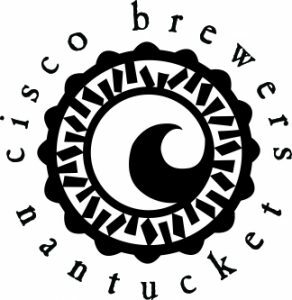 Cisco Brewers was founded by Randy and Wendy Hudson. Wendy started home brewing with some friends while living in California, but in 1992 she returned to the island and met Randy. Instantly, she not only knew that Randy was her soul mate, but that he would make a great brewer. And so she bought him a kit. Randy tried one recipe using malt extract, then ditched the book and converted a little pasta roller machine (they never used it anyway, who does?) into a grain mill. All the time he had spent working at Something Natural, a bakery on Nantucket, had given him an intuitive feel for working with yeast and grain. He was right in his element as they say. If Wendy needed to be further impressed to stick with this guy, after trying his beer, she was! When Randy and Wendy started selling beer, the entire operation-except the cold room, which was cooled by an air conditioner-was outdoors in the Lon’s back yard. Wendy always called the original setup a “nano-brewery” because althought they dreamed about it, they certainly were not yet a “micro.” Many people thought it looked like they were making moonshine and they were right! Cisco Brewers had the distinction of being America’s Only Outdoor Brewery. Magic Hat Brewing Company was formed in 1994 in Burlington, Vermont. It moved to its current South Burlington location in 1997. Magic Hat brews four year-round beers: #9 “Not Quite Pale Ale”, Dream Machine, Circus Boy and Single Chair. It also produces up to four seasonal beers, seasonal variety packs and several limited release products. The FX Matt Brewing Company is the only brewery in American to have three district tours in craft beer. Our founder, FX Matt, was making craft beers pre-Prohibition (including his West End IPA (AKA Legacy) from 1914). The “Utica Club” brand was likewise notably crafty for the WWII era, having made a large variety of styles. Finally, we came full circle back to our craft roots when we initiated the Saranac brand in the mid-80’s. Why does all of this matter? It Means we’ve got a whole lot of expertise in the craft space. We share a passion for craft and strive to create beers that are distinctive yet drinkable. Brewed by the sun and steeped in the salty air, Hoop Tea is crafted on the beach of Ocean City Maryland. Each ingredient is hand picked and blended using our original recipes. We take great pride in creating the world’s finest maltisinals right here on the beautiful shoreline of America. We use natural ingredients, purified water, organic cane sugar, and a thousands of years old process of fermenting natural sugars from steeped grains to create alcohol. Our flavors are as free spirited and fun loving as our hometown. We choose the highest quality tea leaves, herbs, fruits, and flowers. We never add artificial colors or imitation flavorings. Real ingredients create unreal flavor. We promise to deliver you a beverage that will quench your thirst and feed your soul. Thank you for joining us in pursuing our passion. It’s what we were put on this earth to do. In 2011, beer enthusiasts Meg Gill and Tony Yanow founded Golden Road Brewing to bring fresh beer to the local market in the most sustainable way possible. Golden Road is committed to engaging and supporting the growing community of socially-minded beer enthusiasts. Brewed and canned in Los Angeles, Golden Road’s year-round offerings include Wolf Pup Session IPA, Point the Way IPA, Golden Road Hefeweizen, Get Up Offa That Brown and Wolf Among Weeds IPA. 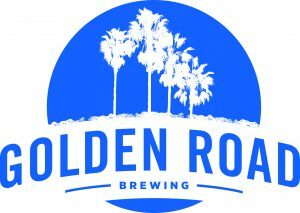 Along with the core beers, Golden Road brewers are constantly experimenting with the freshest ingredients through a collection of rotating, seasonal and limited-edition brews including the Custom IPA Series, a line-up of diverse, hop-forward IPAs. We brew what we want to drink for the lifestyle we want to live; big IPA’s, crazy sours, and beers to crush. Come join the fun. 10 Barrel started back in 2006 with three guys in Bend, Oregon who shared one simple mindset; brew beer, drink beer and have fun doing it. Since then our brewery has grown but we will always stay the same… Rough morning? Grab a beer. Big powder day? The “Gone Skiing” sign goes up. Too hot to work? Mandatory company float. You get the picture… Here’s to living it up with a beer in hand. CHEERS! 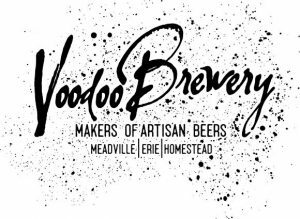 The Employee Owners of Voodoo Brewing Co. have taken our brewing experiences and quirky personalities and wrapped it up into a line of beers oriented around what we feel are fun, flavorful, and thought-provoking. We wish you enjoy our beers as much as we do brewing them. Cheers! -Quality and freshness are the foundation for the success of Wantz Distributors and the wholesaler network. Employees are counted upon to vigorously protect the integrity of all brands – both package and draft. -It is understood within our organization that the highest priority is placed upon our commitment to freshness. Direct responsibility for product at retail is shared by the team that routinely services our customers. This includes management, pre-salesmen, driver-salesmen, delivery support and quality control personnel. Wantz Distributors shared a photo.